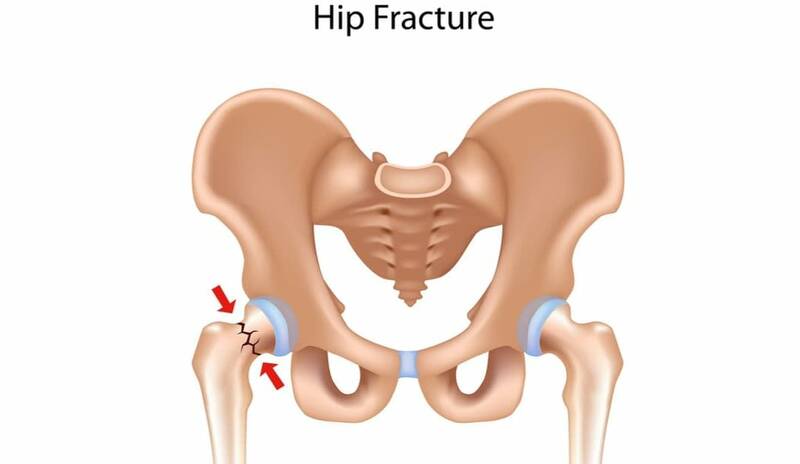 Hip fractures are the most serious type of osteoporosis-related fractures. Because they usually occur in patients over 50, they can be life-altering, debilitating injuries. For this reason, it’s important that patients educate themselves and take relevant precautionary measures. 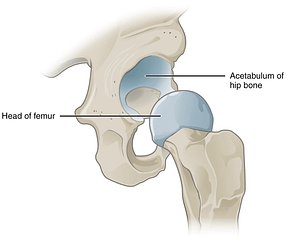 The hip is a ball and socket joint composed of the head of the femur and acetabulum of the pelvis. Its role is to stabilize and support the body while standing, walking, and running. These symptoms will often not subside unless the fracture is treated by an orthopedic specialist. Treatment options always depend on the severity of the fracture and health of the patient. 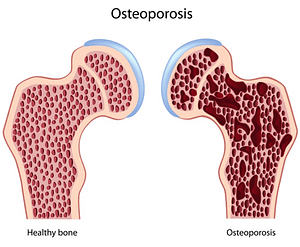 Osteoporosis is a common cause of hip fractures. The disease is characterized by progressive bone loss due to aging. Because the disease has a slow onset, the first sign/symptom is usually a fracture, which is why prevention in the form of maintaining bone health is extremely important. Taking in adequate amounts of calcium. Calcium is an essential nutrient that plays a key role in stimulating bone growth and maintaining bone density. By taking in necessary recommendations as dictated by a physician, patients increase bone strength and quality. Taking in adequate amounts of vitamin D. The body uses vitamin D to help with calcium absorption. It is found in milk, green leafy vegetables, and sunlight. Like calcium, it should be taken to levels recommended by a physician. Exercising strengthens the muscles and bones, which minimizes bone loss. It also increases overall health and improves quality of life, which can decrease the chances of a fracture causing accident. Since 25% of males and 50% of females over the age of 50 will experience a bone fracture due to osteoporosis, this patient population should pay particularly close attention to their bone health. An appointment with an orthopedic specialist is never a bad idea. Hip fractures due to osteoporosis can be avoided. If you’re concerned about your or a loved one’s bone health, please don’t hesitate to contact our offices to arrange an appointment. We’re currently accepting new patients and will get you in ASAP.